Involvement in the field of aviation includes the Stuart Jet Center, Reliable Jet Maintenance and the Red Stars Jet Team. STUART JET CENTER, located at 2501 S.W. Aviation Way, Stuart, Florida is a full service independent FBO offering a wide range of services. Our professional and courteous staff offers the highest quality of customer service and customer satisfaction. The Stuart Jet Center has 15+ acres of lighted and secured ramp space and approximately 250,000 square feet of available hangar space. Hangars are spacious enough to accommodate aircraft as large as a Gulfstream V. Located only minutes from the beach and 35 miles north of West Palm Beach, Stuart Jet Center is convenient to I-95 and the Florida Turnpike. 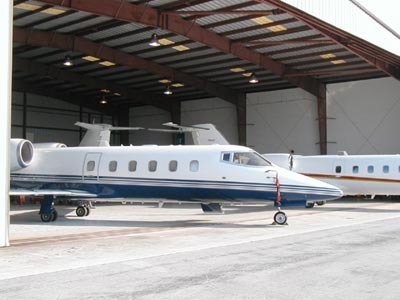 RELIABLE JET MAINTENANCE, located at 3900 Airport Road, Hangar #1, Boca Raton, Florida, offers a complete range of inspection and maintenance services specializing in corporate aircraft. 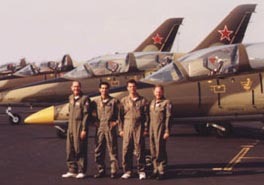 RED STARS JET TEAM is the only civilian owned Four Ship Jet Team flying authentic Russian L-39’s in precision formation.